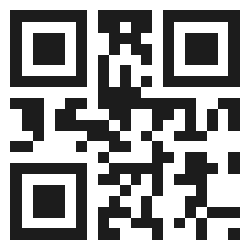 The QR (Quick Response) code connects "prints" to your Web App. Instead of typing Web addresses on a small keyboard, mobile and tablet users scan QR codes and instantly access all your content, contact information, and more. In general, you should include the QR code in your colateral marketing like business cards, brochures, printed media or signages. But there are many other ways to use QRs when creative marketing is involved. Since we develop for mobiles and tablets we do provide a print ready QR code for every Website we create.